HSG was founded to make the world a better place. Our founder, Jason Helgerson, has made that his mission his entire professional life. He has been a positive and successful change agent in every position he has held. Most recently he was New York’s Medicaid Director. In that role he led the state’s historic Medicaid redesign efforts which not only bent the cost curve but improved outcomes for Medicaid members. A 2018 Commonwealth Fund study found New York to be the most improved state in the nation relative to its overall health system performance and suggested that further improvement was likely thanks to reforms launched by Jason and his team. Prior to moving to New York, Jason was Wisconsin’s Medicaid Director. In this role he led the effort to expand access to health care to virtually all state residents. He also helped lead a major cost-cutting exercise that brought down spending without taking benefits away from a single Medicaid member. Prior to his Medicaid work, Jason held a series of positions in state and local government leading efforts to reform education, child care, public finance and, of course, health care. We're happy to walk you through your needs, and the scope of your goals. Jason Helgerson is an entrepreneur, investor, consultant and social change agent. After more than 20 years of public service he has embraced the “gig economy” and launched a multifaceted private sector career. Helgerson Solutions Group LLC (HSG) is focused on helping companies, providers, payers and governments make the move to value in health care. Jason also advises Private Equity firms and Venture Capital funds that share his commitment to value-based health care. Jason also works around the world as a Senior Advisor to a global management consulting firm. Before his move to the private sector, Jason was a nationally recognized leader in public sector health care. Most recently he was New York’s Medicaid Director, a role he held for over seven years. New York’s Medicaid program provides vital health care services to over 6.6 million New Yorkers and has an annual budget in excess of $68 billion. 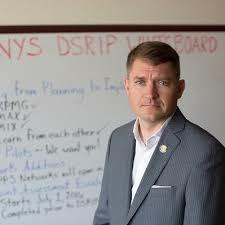 Jason also served as the Executive Director for New York’s Medicaid Redesign Team, nationally recognized as a 2015 Innovation in American Government Finalist by the Harvard Kennedy School of Government. In this capacity he directed Governor Cuomo’s effort to fundamentally reshape the state’s Medicaid program in order to both lower costs and improve health care quality. In 2015, Jason was also recognized as a Public Official of the Year by Governing Magazine. Prior to arriving in New York, Jason was Wisconsin’s Medicaid Director. In that capacity, he administered the state’s nationally recognized BadgerCare Plus program for children and families; BadgerCare Plus Core Plan; SeniorCare; FoodShare; and Wisconsin’s Chronic Disease Program. Jason was also the principal project sponsor for BadgerCare Plus, former Wisconsin Governor Jim Doyle’s signature health care initiative. Through this program, 98% of Wisconsin residents have access to affordable health care, including all children. Jason served as Executive Assistant/Policy Director to the Secretary of the Wisconsin Department of Health and Family Services (DHFS) from February 2005 to March 2007, and before this as the Executive Assistant for the Wisconsin Department of Revenue. Prior to joining the Doyle Administration, Jason served as the Senior Education Policy Advisor for Mayor Ron Gonzales of the City of San Jose, CA. In this role, he provided advice and counsel to the Mayor on all issues related to children. Before joining Mayor Gonzales' staff, Jason worked for the Milwaukee Public Schools (MPS) where he served as both the chief lobbyist for the district and as a deputy budget director. Prior to taking the position with MPS, Jason worked for Milwaukee Mayor John Norquist where he was the Education Policy Advisor and served as a senior official in the Mayor's Budget Office. Helgerson Solutions Group LLC (HGS) is focused on helping companies, providers, payers and governments make the move to value in health care. HSG also advises private equity firms and venture capital funds that share this commitment.